Our Services - That Retirees Use Every Day! Wealth Management - What all can I do with my 401k/403b/IRA now that I'm retired? For retirees, we offer a broad range of wealth planning products and services and can provide you with in-depth guidance designed to help you preserve your wealth and maximize growth potential. We have increased our offerings and decreased our fees each of the last 3 years! Hands down - THE most popular thing we do for folks is our Retirement Test Drive. Why? Because You Don't Know What You Don't Know! I can change that - call me! These days the other half of Wealth Management is understanding your tolerance for risk. At Royce Financial, we can help with retirement planning solutions designed to find a good balance between the risk you can tolerate and the reward you might realistically expect. Many rules of investing change in retirement. We know them and will help you navigate those new investing rules. Work with us and you’ll understand where your money is invested and why, how your investments are performing, and how much it’s costing you. Plus, you’ll have access to expertise, specialists, and insights to help you reach your own specific goals. Our Process Always Works Toward a Fiduciary Level of Care for Every Client. Is it Fast, No. Will it Give You "Peace of Mind" About Your Retirement Future - Yes! SMART Retirement Planning Takes TIME to be done in "YOUR Best Interest"
See our section about the "Retirement Test Drive" we take retirees on. While developing a personalized financial plan, we will walk you through a step-by-step process that will help you feel confident in your retirement decisions - today and for the future. Once your goals have been established, we will suggest appropriate strategies to suit your vision and objectives. Our Retirement Test Drive software will allow us to build a retirement plan you can understand. When I start one of these with a client, I never know and they never know where we will go. It is a process that allows us to discuss or "Test Drive" many options to SEE what may work best for you - and document it! If there was a missing fact or piece of information that might cost you and/or your spouse dearly in retirement when would you want to find out about it? Today? 5 or 10 years from now? Never? Do you understand "drawdown" and/or "sequence of return risk" and how these apply to your life savings? "Test Drive" several alternative scenarios of your retirement. Ask the hard questions NOW before it's too late. I can open our eyes to your potential options as well as pitfalls in retirement. 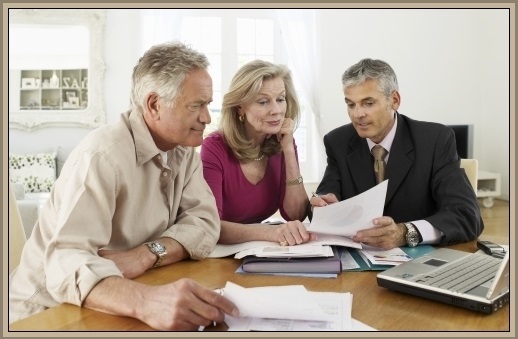 you are depending on to get you and your spouse ALL the way thru retirement - call us today! YOUR retirement is very, very serious stuff! Don't just "wing it"! YOU have NEVER bought a car without a test drive - so don't retire without one. noun: plural noun: annuities - a fixed sum of money paid to someone each year, typically for the rest of their life. "he left her an annuity of $1,000 in his will"
An annuity is a lump sum of cash invested to produce a monthly stream of income for a fixed period or for life. The income can start now (immediate annuity) or in the future (deferred annuity). They are "risk transfer" insurance products and as such should not be looked as a stand-alone investment. They transfer the "risk" of running out of income later in life from YOU to the insurance company. So now YOUR risk is the insurance company failing to be there for you. A-Rated companies are a good choice for that reason. All annuities have early withdrawal fees that may last 5 to 15 years - make sure you understand them! Many have great riders designed to address specific requirement planning concerns. Remember - there is only so much energy in $100,000! Make sure if you want a specific feature and you find an annuity that "the best" at that you are not giving up some other feature you need also. You can only rob Peter to pay Paul so much before someone gets unhappy. 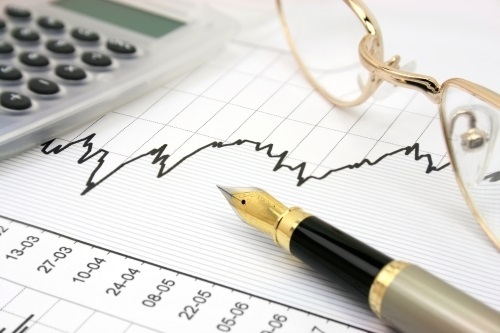 We do not offer complex variable annuities that are oversold to individuals who don’t understand them. They’re frustratingly complex to comprehend. 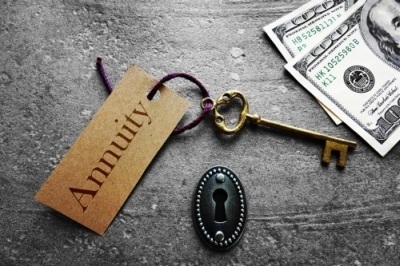 Annuities should be purchased only if there are compelling benefits and only if they complement the “whole financial picture of an individual or couple.” A low cost fixed or variable annuity may make sense if you want to convert a lump sum into a stream of income and you can afford to tie up a certain amount of your money for an extended period of time (possibly forever). NOT Your Grandfathers Life Insurance - The Living Benefits are as Important as the Death Benefits These Days. For Estate & Legacy Planning, Funding Critical or Long-Term Care, Turning a Taxable IRA into Tax-Free Inheritance and on, and on, and on! We all leave a legacy when we die, no matter the amount of our assets. Estate planning — taking a systematic approach to preparing for the distribution of assets after a person’s life ends — is an important part of financial planning. It can be easy to delay estate planning since it requires facing up to the inevitability of death. This delay may be very costly if it leads to incomplete plans, however. When considering how your estate will be distributed, a well-organized financial plan can make a big difference in how your assets are allocated to your loved ones. Why should you own life insurance? It can cover expenses and replace income lost for our loved ones after we're gone. It can also fund purposeful legacies, creating good for our families and communities that last long after we're gone. It comes down to how you want to leave your mark. Would you like for your grandchildren to receive a check from you on their birthdays for the rest of their lives? Would you like to help your child, who went into a socially important, but low-paying career, fund their retirement plan? Would you like to leave a major bequest to a community organization that you care about? Financial Advisors typically recommend permanent life insurance, such as whole life or universal life, for legacy planning. While term insurance can be effective in very specific instances, the cost can become prohibitive if you live a long life, and many people stop carrying term insurance before it pays off. 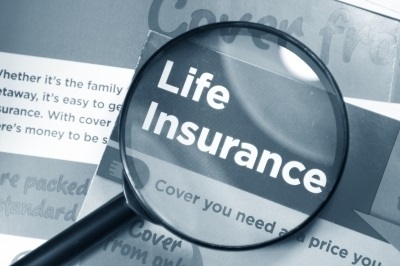 Given the lack of knowledge about life insurance, it’s understandable that most respondents believe life insurance is used for paying funeral expenses (68 percent) and providing income for survivors (59 percent). But few cite the product’s other living benefits. Examples: Paying mortgages and debts (23 percent), Paying estate taxes (15 percent), Creating an estate (12 percent), Providing a cash flow in retirement (8 percent), Equalizing an inheritance (7 percent), Paying for college (5 percent), Taking out a loan/borrowing against (5 percent) and Funding charitable contributions (4 percent). It is the retirement "deal-breaker"! Long-Term Care Protects All Your Other Assets from unplanned, urgent liquidation. Yes, we are living longer - BUT - we are also staying in nursing homes longer. A toxic mix that can make a train-wreck out of your retirement plans! With most couples, it is the surviving spouse that benefits most from long-term care. 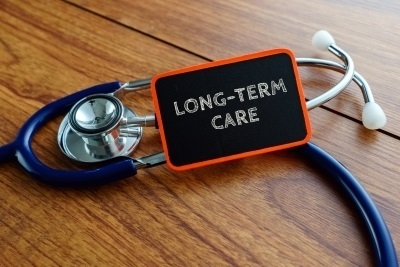 Long-term care (LTC) is a variety of services which help meet both the medical and non-medical needs of people with a chronic illness or disability who cannot care for themselves for long periods. The need for long-term care help might be due to a terminal condition, disability, illness, injury or the infirmity of old age. Estimates by experts are that at least 60% of all individuals will need extended help in one or more of the areas above during their lifetime. The need for long-term care may only last for a few weeks or months or it may go on for years. It all depends on the underlying reasons for needing care. Long-term care is a range of services and supports you may need to meet your personal care needs. Most long-term care is not medical care, but rather assistance with the basic personal tasks of everyday life, sometimes called Activities of Daily Living (ADLs), such as bathing, dressing, using the toilet, transferring (to or from bed or chair), caring for incontinence, and eating. Other common long-term care services and supports are assistance with everyday tasks, sometimes called Instrumental Activities of Daily Living (IADLs) including: Housework, Managing money, Taking medication, Preparing and cleaning up after meals, Shopping for groceries or clothes, Using the telephone or other communication devices, Caring for pets and Responding to emergency alerts such as fire alarms. Custodial Care versus Skilled Care Custodial care and skilled care are terms used by the medical community and healthcare plans such as health insurance plans, Medicare, Medicaid and the Veterans Administration. They are used primarily to differentiate care provided by medical specialists as opposed to care provided by aides, volunteers, family or friends. The use of these terms and their application is important in determining whether a health care plan will pay for services or not. Generally, skilled services are paid for by a health care plan and custodial services, not in conjunction with skilled care, are not covered. However, custodial services are almost always a part of a skilled service plan of care and by being included, custodial services are paid by the health care plan as well. Many people have the misconception that only skilled services are covered. This is simply not true. Medicare by itself pays for a limited amount of long-term supportive services. Medicare covers up to 100 days of care in a nursing home (skilled nursing facility) after you have spent three days in the hospital and as long as you need skilled care. In some cases, Medicare will cover home health care, but eligibility requirements are strict and Medicare typically approves coverage of only four to ten hours a week of care (it can cover up to 35 hours). Medicare will also pay for hospice care for people who are terminally ill.
Medicare will only pay for care in Medicare-certified skilled nursing facilities or through Medicare-certified home health or hospice agencies. It will never pay for care in a continuing care retirement community (CCRC) or in an assisted living facility(ALF). If you have a chronic illness or disability and need extensive long-term supportive services, you will probably need to find resources other than Medicare to help pay for these services. Confused? Most folks are, especially with all the ways and options to pay for long-term care when you in your 50's and 60's. There are really great options for couples. Find out what your specific options might be.